These wonderful coconut oil smells absolutely delicious! 100% natural, organic and cold pressed, it has a pure white colour and a superb natural coconut aroma. 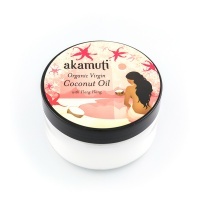 As a moisturiser, coconut oil absorbs very readily into the skin and keeps it soft, but not greasy. It makes an excellent all over body moisturiser, helping to reduce chronic skin dryness while helping to lift dead skin cells, making the skin softer and smoother. The small molecular structure of coconut oil allows for easy absorption through the skin. 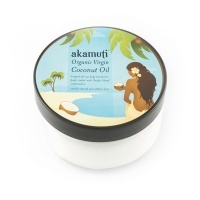 Organic coconut oil is a fantastic hair conditioning oil as it softens the hair and conditions the scalp. Coconut oil is famed for its ability to strengthen the structure of damaged, devitalized hair being an effective lubricator. It also softens the hair shaft through the action of minerals such as magnesium, potassium, calcium and iron. Simply apply some coconut oil to the scalp and massage it in gently, stroking the oil into the hair. Leave the oil treatment in for at least half an hour before shampooing out.